This is very true. I just don't understand 1) how they make them so ugly, and 2) how people like them. Spy photos of the Chinese spec refreshed EcoSport with external spare tire. The ASEAN version will most likely look similar to this. 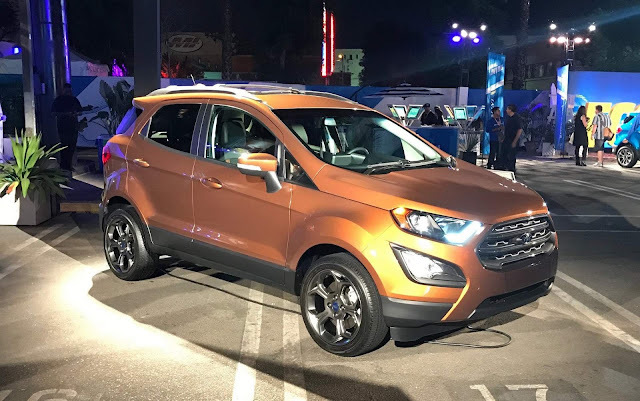 Looks like the EcoSport is joining the cast of "Guardians of the Galaxy Vol. 2". Catch Ford’s all-new compact SUV in Marvel Studios’ “Guardians of the Galaxy Vol. 2,” in theaters May 5. Should have used the Ford Galaxy! It makes zero sense but it's working as a conversation piece because it draws so much attention to the weirdness of the product placement. It's also very odd that a car still a year away is being advertised this way right now. Having seen and sat in one, I will say that it does look a bit better in person. Overall, I am not a fan of this class vehicle, nor the styling that follows. Although it does offer more utility than a Fiesta. I have seen them in person as well and I would prefer it over a Fiesta but definitely not over a Trax or C-HV, it feels either a segment below them or 5 years behind them. The EcoSport has been a huge success globally so it deserves some respect. I think it has been miscast for this role however and I fear Ford might be punished for it as it was in Europe, but hopefully aggressively low pricing will help distinguish it. Apparently we have more SUVs coming so this might only be part of the product story. 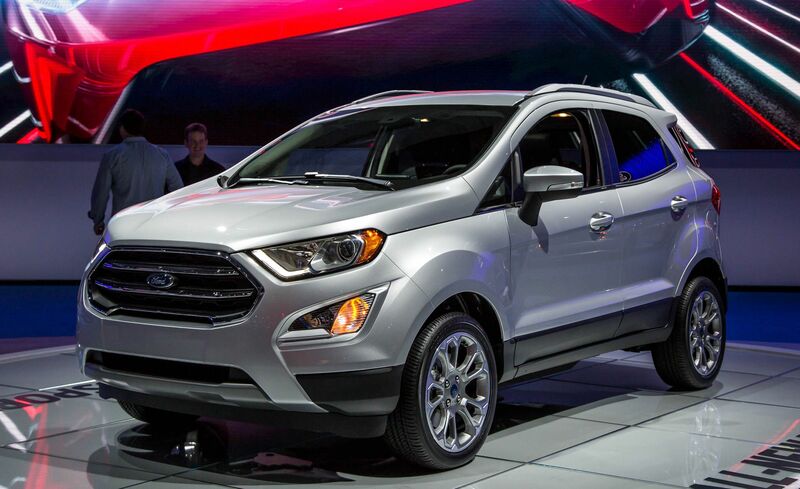 I just wish the EcoSport wasn't so...curiously styled. Last edited by Assimilator; 04-13-2017 at 08:40 PM. @Assimilator, EcoSport sales have picked up in Europe after Ford gave it sportier suspension and a spare-tireless rear end option, the 2018 refresh and added options should improve sales further. Although the Trax looks decent, up close the inside particularly the door panels is all hard plastic. Ford was smart enough to put soft/padded areas where your elbows go. Its funny how Chevy stuck the pre-facelift EcoSport's nose on the 2017 facelifted Trax. I'd still go for the EcoSport, this SES looks good. Last edited by AM222; 04-13-2017 at 11:51 PM.